After reading a few blog posts about making homemade mayonnaise with an immersion blender in approximately 30 seconds I quickly hopped on my Amazon Prime account and ordered this model from Cuisinart. I grew up on Miracle Whip (versus Hellman's) but I love the idea of having fresh homemade mayonnaise in the fridge that isn't filled with all the additives that store-bought brands contain. Yesterday I took out my handy dandy immersion blender and put The Healthy Foodie's Fool-Proof Paleo Mayo recipe to the test. Unbelievable! 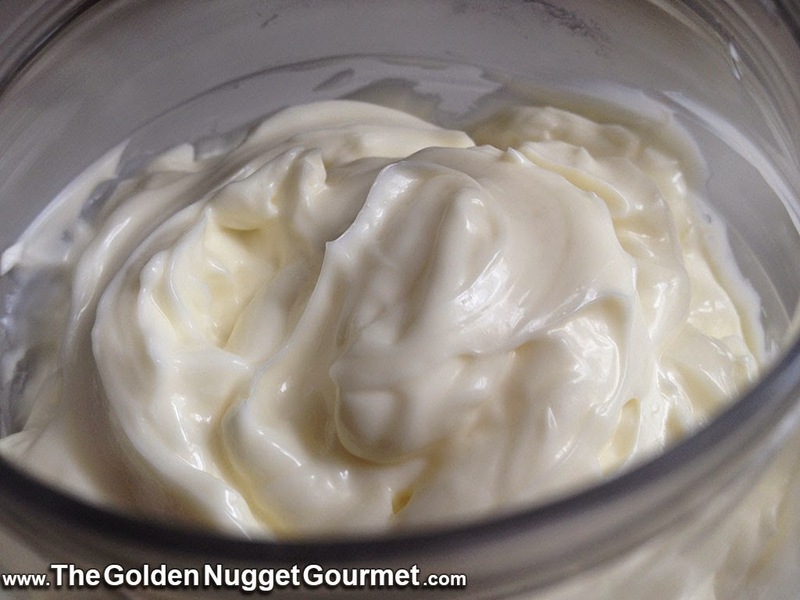 I whipped up this cool and creamy mayo in under 30 seconds. It was so easy that I decided to rinse out a Miracle Whip container and made two more batches in order to fill the jar. 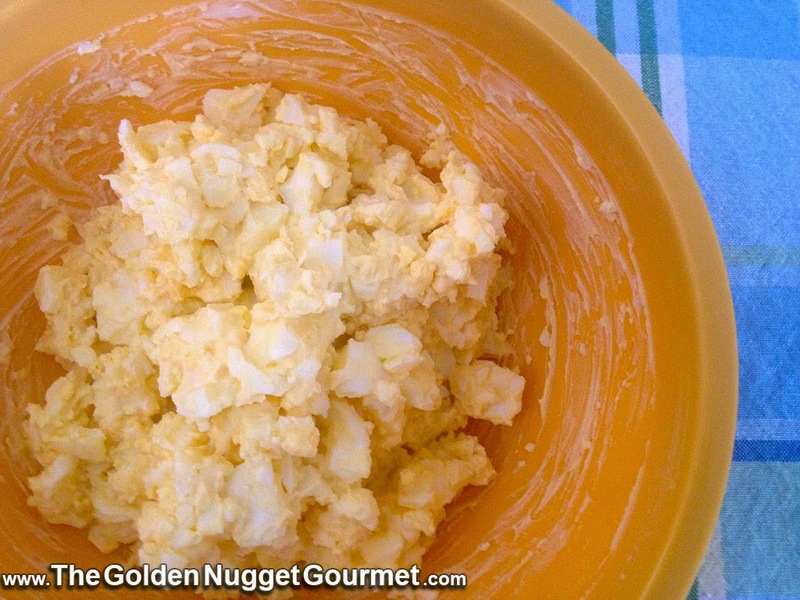 The first thing I made with my new mayo was egg salad. 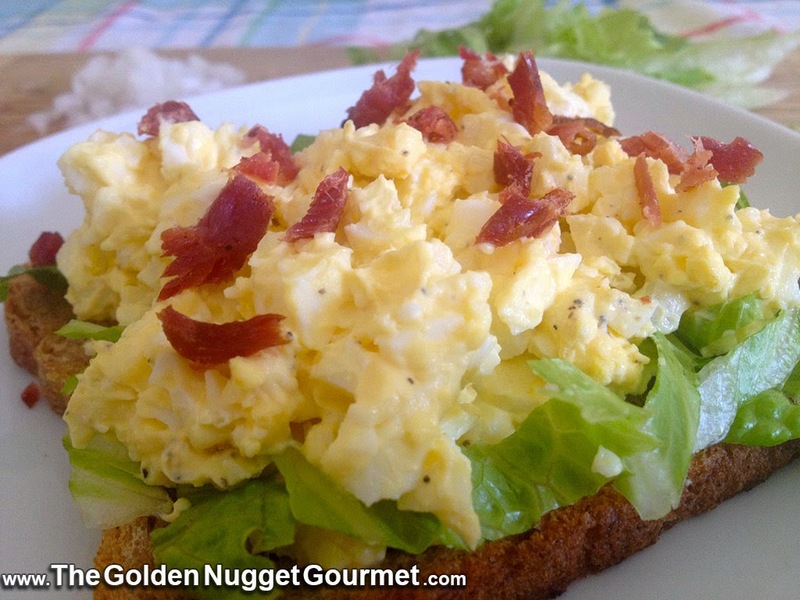 I also had a fresh batch of crispy bacon from the Amish store in Laurel so I decided to sprinkle some chopped pieces on my toasted egg salad sandwich. Absolutely delish!